Friday things started off good, I got my fiberglass bumper for Advantage Fiberglass mounted ands the fit up was right on. I modified my original bumper brackets to accept dzus fasteners. Then I mounted my electric water pump and sure enough, when I went to power it up, my battery was dead, so I need to charge it back up. Saturday I picked up the doors and dropped off the front sheet-metal. The doors looked great and Nelson said to give him a week or two and the front stuff will be done. I started with the driver door and got it hung and the alignment was pretty close, so after a few tweaks it was where I liked it, so I went and put on the door gasket and this is where my troubles began. The door would not close tight, so after looking at things for a little, I decided to take them back off and leave them off, it's a race car right? Now I was mad I wasted $60.00 on these gaskets, and decided to move onto the outer door handle and sure enough, the pin that pushed on the door latch mechanism wasn't long enough, so I decided to make one and I finally got it to work. So then I decide to move onto something real easy, I mounted the side view mirror, I figured nothing would go wrong here and that was my easiest task of the day. I think that once things get settled in it'll start rattling and banging if the door gasket is not there... It sorta acts like a cushion and a seal. Soft Seal weatherstrip will fit and the doors will close, I have run into this several times with other brands, the only disadvantage will be the inside will get wet when you was the car. I forgot to give an update, I put the door seals back on and gave the doors a little slam and they shut. I was told to let them closed for a few days to "crush" the seals and as time goes on, they will get better. never even came across my mind, thanks. Now get back to working on the Fire Chicken! Oh by the way, the car looks good and I'm real proud of the paint job Nelson is doing on the car. He said the front end stuff might be back this weekend, but will be for sure, by next weekend. SC own's a Fire Chicken (Firebird), does he not? Bruce69Camaro wrote: SC own's a Fire Chicken (Firebird), does he not? I didnt think about the tire smoke . Thats how long its been since I did a burnout. Hey SC, am I allowed to ask how old you are? Bruce69Camaro wrote: Hey SC, am I allowed to ask how old you are? Sure you can ask . Why? Well I wanted to check first to make sure that you were younger then me and if so, I'd be your elder and as being your elder, I order you to get back working on the Fire Chicken! Bruce69Camaro wrote: Well I wanted to check first to make sure that you were younger then me and if so, I'd be your elder and as being your elder, I order you to get back working on the Fire Chicken! I'm not much older then you, but in the end, I'm still your elder. I'll be 49 in Dec. but the good news is, Harry is still much older then us! Here's a new update, the painted front end will be back this coming weekend. Bruce69Camaro wrote: I'm not much older then you, but in the end, I'm still your elder. 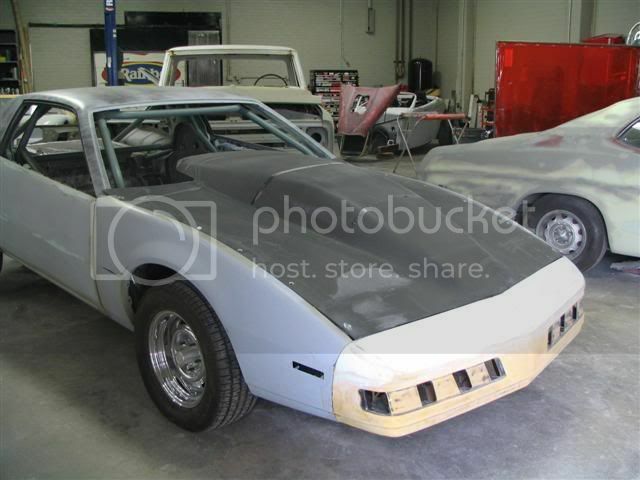 Hey Bruce hes going to stripe it AFTER its all together right? Age is just a number right? Its ok to be older than everybody Harry it means your smarter that all of us.